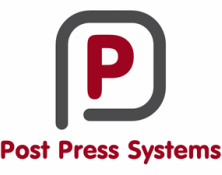 Post Press Systems have vast specialist experience of the Setmaster range of machinery. No matter how old your equipment, you can be sure we can offer support to ensure it serves your business for many years to come. We posses over 30 combined years of dedicated Setmaster experience and no matter what the problem you're facing, we will be able to offer you a fast and affordable fix. For our UK customers we are very competitive for travel charges, being based in London we can get to most UK customers within a couple of hours. If you are not in a hurry we can also group calls together to share the travel costs. This together with very affordable rates virtually guarantees we cannot be beaten on price! Please get in contact for more information on arranging a free appraisal.